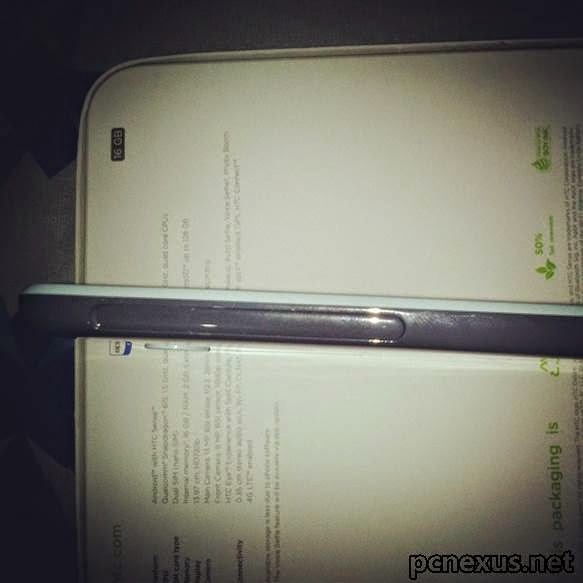 HTC Desire 820 Dual SIM Android smartphone is not just another Android device. It’s HTC Android smartphone that upped the standards of secondary camera since the selfie rage. 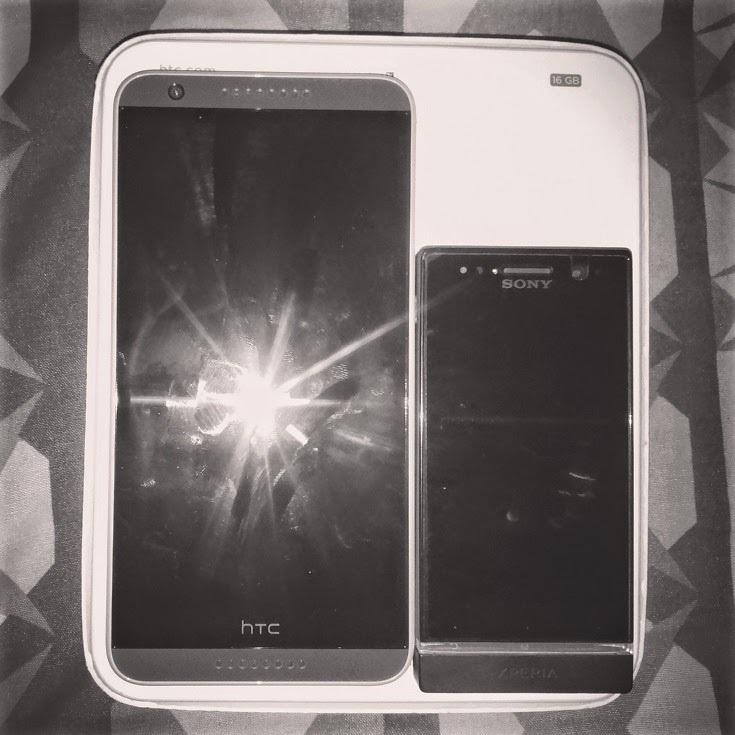 HTC One series is well known for their sharp shooters, and with the likes of HTC Desire 820 Android smartphone, it seems HTC has upgrading its series with superior selfie camera devices. The smartphone sounds like a true performer when reviewed via the spec sheet as well as in real life. If you’ve been meaning to find and buy a smartphone with a stupendous camera capabilities, you’re right at the spot. HTC Desire 820 not only just about camera, but the phone is powered and ruled by 64 bit Qualcomm MSM8939 Snapdragon 615 Quad-core 1.5 GHz Cortex-A53 processor. Not to mention, there’re only fewer devices fewer than you can count on fingers, infused with 64 bit processor. The two versions of the phone differs in RAM and processor capabilities. One with 1 GB of RAM and a Quad-core processor and the other with 2 GB of ram with an Octa-core processor. The smartphone sports a 8MP secondary camera and 13MP sharp shooter at the back. 5.5” LCD capacitive touchscreen, 720 x 1280 pixels and 267 ppi pixel density offers great viewing angle and is big enough to be heralded as a phablet. The smartphone comes with a 16GB of internal memory which can be further expanded to 128GB of room to store your media content on the go. Let’s explore the device in parts and examine the minute features separately. When it comes to design, phone’s smartly designed keeping little considerations and user comforts in mind. It’s entirely made up of polycarbonate, hence lighter in weight. With that dimension 157.7 x 78.7 x 7.7 mm, I’d regard the device as a phablet. Not a smartphone, not a tablet, but a phablet. It weighs 155g. 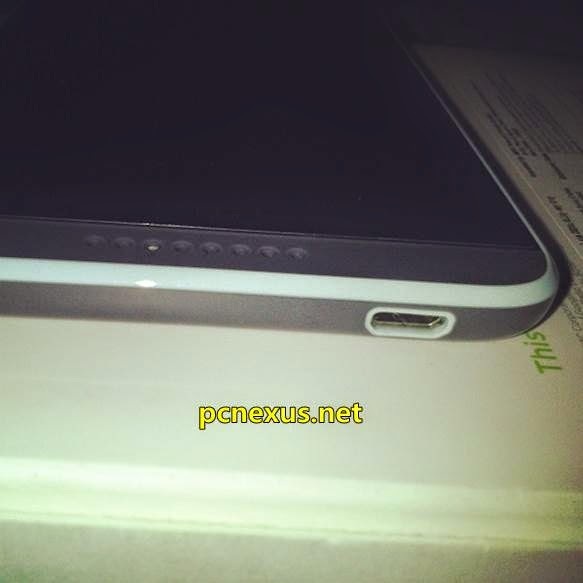 The front is usually occupied with the 5.5” IPS LCD display, with two speakers(one at the top, other at the bottom). Right by the speaker grill, you’ll be greeted with a secondary 8MP camera. And dimly lit LED notification light, which isn’t quite serving the purpose well. Volume rocker buttons are located to its right, power button just beneath it. To it’s left, you’ll find the slots for two nano-sized SIM cards and a microSD card. The curved top flaunts a 3.5mm headset jack, while the bottom has a charging port and a mouth-piece. The back is glossy, prone to fingerprints. At the extreme, 13MP camera is located and a LED flash right beneath it. With 5.5” IPS LCD display, 720 x 1280 pixels and 267 ppi pixel density justify the display size quite right. The viewing angles are great. The display adjusts it’s brightness according to the environment or light you’re in. If you’re out, it will adjust so you could read and view your phone comfortably. If you’re in a living room and it’ll adjust likewise, without straining your eyes. There are two versions of the same phone sharing the same specifications, which only differs in the chipset used and the amount of RAM in each device. 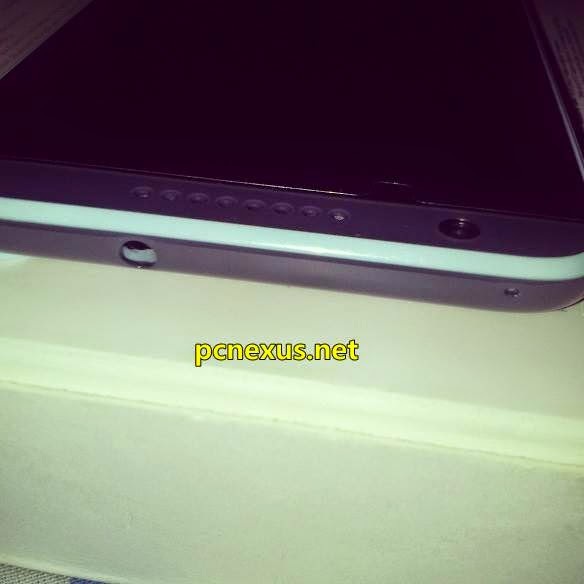 HTC Desire 820 comes with a 2GB of RAM and HTC Desire 820q with 1 GB of RAM. 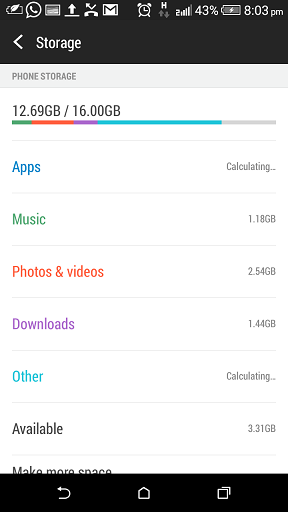 In both the versions, memory can be further expandable up to 128GB via microSD card. Both of them comes with 16GB of internal memory out of which a part is occupied by the Android system software. The two versions of the smartphone are powered with different processor. HTC Desire 820 is powered by Qualcomm Snapdragon 615 SoC, with a CPU featuring four Cortex-A53 cores clocked at 1.5 GHz and four at 1.0 GHz. While the HTC Desire 820q packs a 64-bit Qualcomm Snapdragon 410 chipset, with a 1.2 GHz quad-core processor. Keep in mind while you’re out to buy one out of two versions. The device is new, just launched in the 2014 Q4 at IFA 2014 is powered with the latest and the greatest of the chipset and processors. After having had the device for a week, I hardly felt any lag while multi-tasking. The device performed well in every circumstances, be it 3D games, 1080p videos and other high-end Android games. When it comes to GPU, running the show is Adreno 405. Not as powerful as the one used in Google Nexus 6, Samsung Galaxy Note 4, but much better than Samsung Galaxy S5, Samsung Galaxy Note 3, Google Nexus 5 when compared. 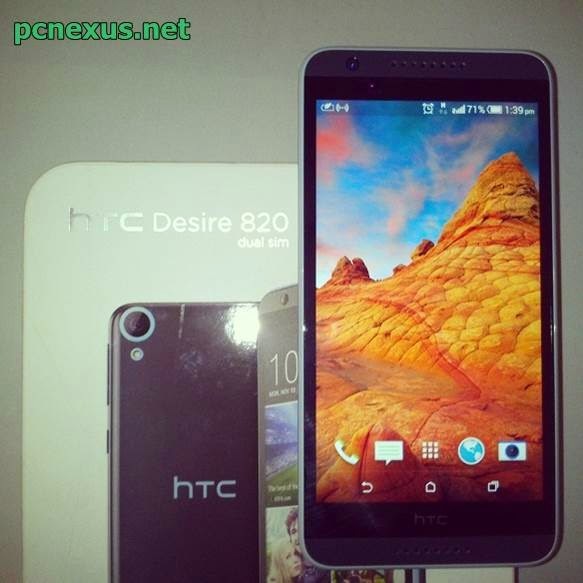 In other words, out of all the devices priced in the range, HTC Desire 820 is a clear winner. High-end Android games, 1080p video playback is governed by the Adreno 405. Since two days, I’ve been using the device with almost 24 hours of 3G usage, with GPS locater switched on and on medium brightness. The phone with a Non-removable Li-Po 2600 mAh battery performed well and gave up after a day of harsh usage. Though, the smartphone offers many features that allows us to save the battery juice in the time of adversity. The Easy Mode when turned on would give almost 30 hours of battery back-up at the cost of minimal but basic features which includes calling, messaging, mails. Apart from that, you can tweak up the settings to save the battery juice to run accordingly. It’s way better than your point and shoot camera. With 13MP camera(rear), it can capture detailed shots with absolute clarity. 13MP camera is well supported with plethora of camera features which includes Geo-tagging, touch focus, face detection, simultaneous HD video and image recording, HDR, auto-focus and an equally good LED flash to support the dark surrounding. There’s little to no noise and stutter in the camera quality. You can capture 1080p Full HD videos at 30 frames per second and 720p videos at 60 frames per second. 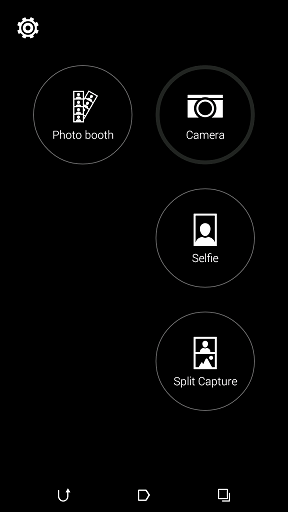 For a selfie, 8MP is at your behest located right by the top speaker grill. Good enough to capture detailed shots than any of the previous generation smartphones and a great delight for those who prefers video conferences and calls on the go. 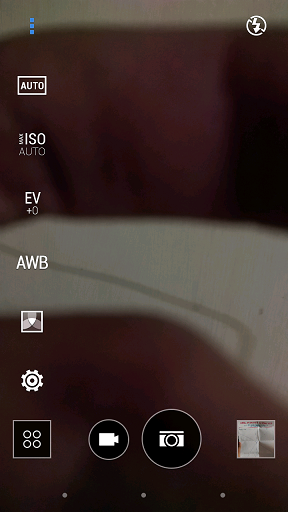 The secondary camera allow users to record 1080p videos as well. Both the camera lives up to their name. Well supported with features that HTC has offered. Out of the box, the smartphone runs the Android OS, v4.4.2 (KitKat). And a device of that stature would surely be getting the Android OS, v5.0 update soon. 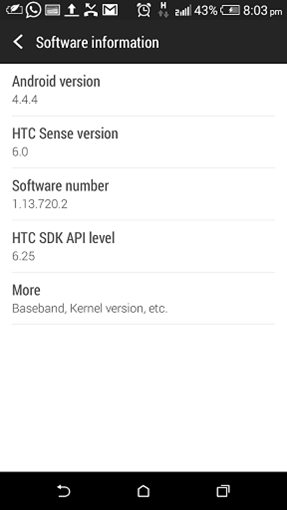 It’s not a stock Android OS but is equally refurbished by the HTC Sense UI 6.0. Apart from the complexity, you’ll find that every other feature of the smartphone is a tap or two away from you. A lot of many features are covered in a swiped down drawer. In the dock screen, the users can manage apps according to their needs. Now that you’re familiar with the advantage of the device, there’re few glitches that I’d like you to be aware of. Non-removable battery. Being a non-removable battery it could have been better, around 4000mAh. 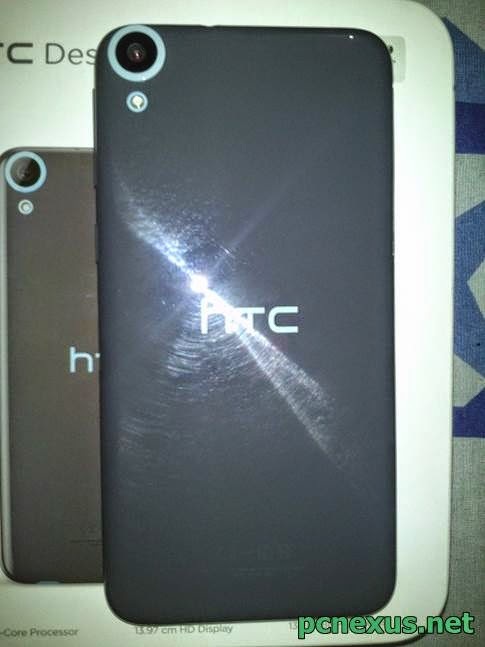 Polycarbonate finish sure looks classy, but it’s prone to fingerprints and is very slippery. A great cover and a case is all you need. There’s no equalizer in the stock music player. You’d want to use PowerAMP, WinAMP or any other equally good media player to enjoy the music. Dimly lit LED notification light. With 5.5” display, it feels bit bigger in hand and pocket. The device runs and functions smoothly without leaving any trace of lags. HTC Desire 820 stands tall over all the other devices in the similar price spectrum as shown in the benchmarks results. 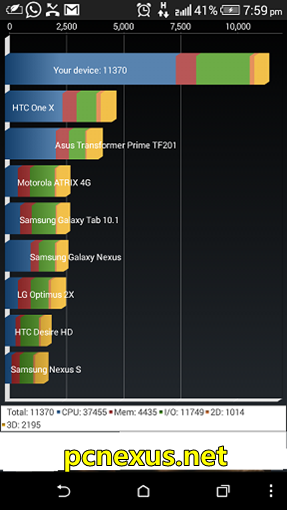 Till now, there’re only few devices running on the 64 bit chipset and they’re bound to perform superiorly well. No matter how many apps you juggle through, you’ll hardly feel a lag or stutter while operating the device. The Quad-core and Octa-core processor justify the powerful beast inside. There’re two version sharing almost similar features which only differs in the amount of RAM and the chipset used. 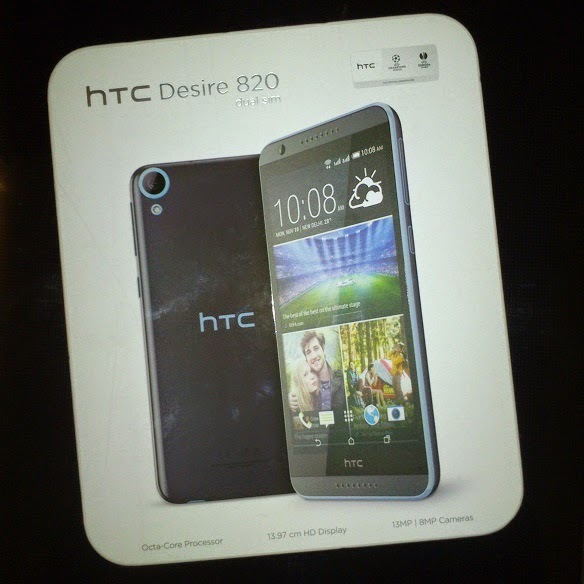 HTC Desire 820 Dual SIM smartphone is priced at INR 21,436 or $357. HTC Desire 820q Dual SIM costs INR 19,588 or $326. I’ve always considered buying what’s latest and performs well within the price budget. If you’ve been meaning to buy a smartphone under INR 20,000. 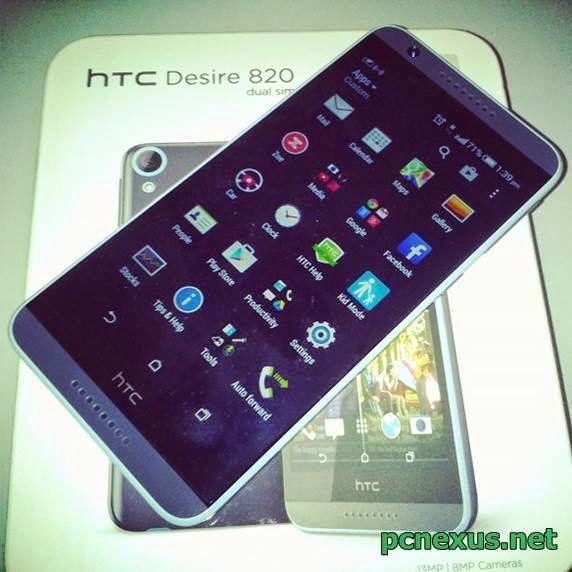 I’d recommend you to choose HTC Desire 820 or the other version any day, over any other device. The phone with that stature will get an assured Android OS, v5.0 upgrade within two months. Octa-core and Quad-core processors Qualcomm MSM8939 Snapdragon 615 is the top of the line chipset being used in the smartphone. The phone is equally good for the camera quality as well. It’s a competitive contender,a winning contender among the equally priced Android smartphone such as Samsung Galaxy S4, Samsung Galaxy Note 3, Lenovo Vibe X2. I highly recommend HTC Desire 820 over any of the aforementioned device.